NEW YORK, N.Y. -- New York Attorney General Barbara D. Underwood and New York City Corporation Counsel Zachary W. Carter announced today a $30 million settlement with Harbinger Capital Partners Offshore Manager LLC ("Offshore Manager"), a hedge fund manager, resolving claims that Offshore Manager knowingly evaded New York State and New York City taxes. Offshore Manager earned incentive fees from successful trading that it conducted from an office in New York City. This income was subject to New York State income tax and New York City unincorporated business tax; however, Offshore Manager concealed its New York City business activities from State and City tax authorities. 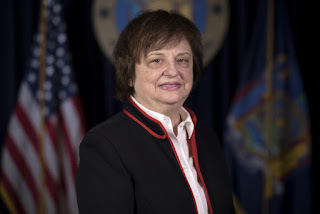 "Harbinger Capital Partners Offshore Manager earned hundreds of millions of dollars in New York State and New York City, but deliberately dodged paying its fair share of taxes," said Attorney General Underwood. "Tax evasion forces ordinary New Yorkers to shoulder the bill. My office will continue to use every tool at our disposal to pursue those who knowingly violate the tax law and hold them accountable." NYC Corporation Counsel Carter said, "The New York False Claims Act, which expressly covers tax fraud, provides a powerful tool for government to use to compel tax law compliance. With the assistance of the New York City Department of Finance, we were successful in ensuring that City unincorporated business tax was paid for a hedge fund business that was operating out of a New York City office." As a term of the settlement agreement, Offshore Manager admitted that it had an obligation to apportion income to New York State and to pay New York City unincorporated business tax, but it did not do so for several years. The investigation leading to the settlement announced today began with a whistleblower lawsuit filed in March 2015 under the New York False Claims Act. The Act, which expressly covers tax fraud, allows whistleblowers and the government to take legal action against companies or individuals that defraud the government. The settlement follows an earlier $40 million settlement in this investigation, concluded in April 2017, with Harbert Management Corporation ("HMC"), the Alabama-based investment management company that sponsored and organized the principal hedge fund managed by Offshore Manager. As a result, a total of $70 million will be recovered. Whistleblowers are entitled to rewards under the New York False Claims Act, and, as a result of the settlement announced today and the earlier settlement announced in April 2017, the whistleblower here will receive a total of $15.4 million for bringing this misconduct to light. Offshore Manager served as the investment manager for a hedge fund that aggregated investment capital from onshore and offshore funding vehicles and for its offshore feeder fund from 2003 through 2009. Offshore Manager's investment activities were led by Philip Falcone, who rose to become Senior Managing Director of Offshore Manager. Mr. Falcone and others he managed carried on Offshore Manager's investment activities from an office located at 555 Madison Avenue in Manhattan. The tax positions taken by Offshore Manager were developed and implemented by Offshore Manager's officers and agents in Alabama, not by Mr. Falcone. Offshore Manager earned incentive fee income in an amount equal to 20 percent of the net profits of the offshore feeder fund. Offshore Manager's members were required to pay New York State income tax on the incentive fee income earned as a result of Offshore Manager's investment management activities in New York. Offshore Manager failed to apportion to New York State any of this income, as required, for tax years 2004 through 2009. Offshore Manager also failed to pay New York City unincorporated business tax for tax years 2004 to 2007. Instead of apportioning income to New York, Offshore Manager apportioned all of its income to Alabama, which had lower tax rates. As a result of Offshore Manager's tax positions, Offshore Manager's nonresident members avoided paying the New York State income tax that they owed, and Offshore Manager failed to pay millions of dollars in estimated taxes to New York State for those nonresident members as it was required to do. Further, Offshore Manager's members who were New York residents paid less New York tax because no income was apportioned to New York State. Offshore Manager ignored professional advice that it should pay New York State and City tax on its incentive fee income. Offshore Manager's Chief Administrative Officer acknowledged, in his own handwritten notes, that apportioning none of the income to New York and all of the income to Alabama was "unsupportable." When first confronted with the prospect of having to pay New York tax, an officer of Offshore Manager, who was an Alabama resident, responded to a question about why the issue arose by writing, "I think [the tax advisors] just figured it out; ugh…. I hate taxes especially having to support some place I don't live. Another one of those high class problems." Offshore Manager concealed its business activities in New York from the New York State Department of Taxation and Finance. For example, during a State audit examining the nature of Offshore Manager's business activity and the source of its income, Offshore Manager's agents in Alabama amended the company's limited liability company agreement to change the location of the company's longstanding principal office from New York, New York to Birmingham, Alabama and then caused statements to be made to state tax officials that highlighted the new Alabama address in the revised agreement without alerting them that the address had been changed during the audit. As a term of the settlement agreement, Offshore Manager agreed to apportion to New York State and New York City 100 percent of the incentive fee income that it earned in the period 2004 through 2009 but had deferred for tax purposes. Offshore Manager also made a $4.8 million payment to the New York City Department of Finance relating to an outstanding tax judgment against the company. The Attorney General expresses her appreciation to the whistleblower, without whose information the misconduct might have remained concealed from the authorities, and to the whistleblower's attorneys. Assistant Attorney General Justin Wagner of the Taxpayer Protection Bureau led the Attorney General's investigation, under the supervision of Deputy Bureau Chief Scott J. Spiegelman. He was assisted by Legal Support Analyst Bianca M. LaVeglia. The Bureau, led by Bureau Chief Thomas Teige Carroll, is part of the Economic Justice Division, headed by Executive Deputy Attorney General for Economic Justice Manisha M. Sheth. Senior Counsel Sabita Krishnan and Division Chief Gail Rubin of the Affirmative Litigation Division handled the investigation on behalf of New York City, with help from Senior Counsel Brian Horan.